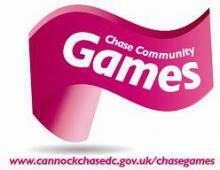 Be part of our local community games and bring the inspiration to Cannock Chase District. Welcome to the Chase Community Games section. Chase Community Games provides a great opportunity for you to bring your community together as well as showcasing local sporting and cultural activities. We would urge you all to get involved in this wonderful initiative and be inspired to make healthier lifestyle choices in the future! We only promote clubs who have achieved Clumark, Charter Standard or their NGB equivalent qualification. This is to ensure that they are child friendly with the appropriate checks, procedures and qualifications in place. We do this through the County Sports Partnership's website. You can find out what is available in your area by visiting the County Sports Partnership website. If you interested in the arts and culture element, you can visit the Chase Creative Hub. Chase Creative Hub is not just a website. It's a group of like-minded individuals and businesses that live or work within the creative sector in the Cannock Chase District. Dancers, artists, designers, photographers and more, can all become part of the 'Hub'. Supported local groups to access funding to support the health agenda. To find out how successful we were in 2012, check out our online magazine. This showcases our achievements and offers you an insight into all the events that took place to celebrate the London 2012 Olympics! If you would like to organise your own event check out our Community Toolkit - this will provide you will all you need to know about putting on a successful event.